GTT has received an order from Daewoo Shipbuilding & Marine Engineering (DSME) to equip two LNG carriers with its NO96 GW containment system. 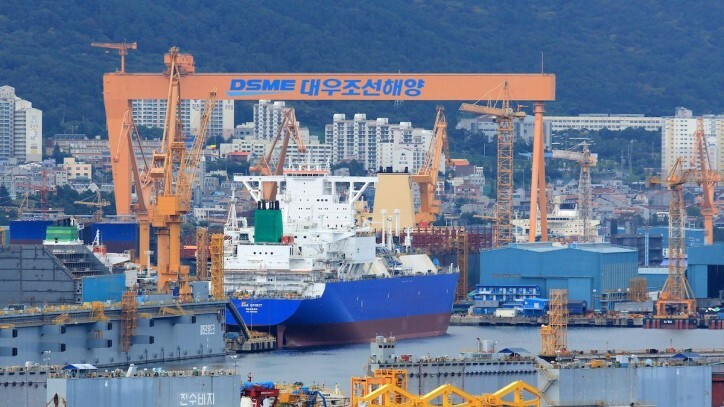 DSME shipyard based in Geoje - South Korea – will build the vessels of 173,400 m3 each, on behalf of a European ship-owner. Deliveries are scheduled in 2019. This is the first order of LNG carriers from DSME since the beginning of the year. It comes in addition to the order of last February, concerning a floating storage regasification unit also equipped with GTT NO96 technology. "We are proud of the close relationship we have had with DSME for over 30 years, which has led to this new order. With 103 vessels in service and 49 in order at present, DSME is indeed a faithful user of our NO96 solutions", declared Philippe Berterottière, Chairman and CEO of GTT. With almost 150 vessels in service worldwide equipped with the NO96 system, GTT designs are based on sea-proven technology which enjoys unparalleled feedback from actual use at sea. For more than 50 years, the NO range has been evolving thanks to a permanent research and development effort in new technologies, to meet the safety and the efficiency requirements of ship-owners and shipyards. NO96 GW is one of these latest NO developments which enables LNG cargo boil-off gas optimisation.